I recall vividly my father a”h telling me many years ago how once, during his aveilus, he was conducting a closing in his office with a large group of business people in attendance. The closing lasted much longer than he had expected and late in the day it was still going on when he absolutely had to leave if he was going to make a Mincha minyan. Without hesitation he announced that he was leaving for 45 minutes to go say kaddish. The group, which included non-Jews, looked at him in disbelief, as if to say, “Are you kidding? We are all in the middle of this complicated deal and you are leaving?” He explained that he had no choice, got up, left, went to Mincha, said kaddish and returned 45 minutes later to complete the transaction. This story was on my mind all through my aveilus for my father a”h 29 years ago and again now during my current aveilus. And a couple days ago I had a similar experience; though those present did not know why I left for twenty minutes. I was in a client meeting that was scheduled to end at 1:30 pm – more than enough time for me to go across the street to the Agudah minyan at 1:50 pm. Well, 1:30 pm came and went and the meeting did not end. At 1:40pm I announced that I had to leave for twenty minutes and would return. I got up, left, went across the street, davened Mincha, said kaddish and then returned to my meeting. Not a question asked. Not a negative word said. Sheluchai mitzvah ainaom nizokin. A person on his way to perform a mitzvah is not harmed. One aspect of saying kaddish is to remember and pay respect to a lost relative. Our tradition teaches that one can never fully appreciate all that a parent has done for a child. Thus, the period of mourning and restrictions for a parent, twelve months, is far longer than for any other loss. The Torah teaches that the role of one’s rebbe, teacher of Torah, is akin in many respects to, and in some respects greater than the role of a parent. Aaron HaCohen’s sons were considered children of Moshe Rabbeinu (Moses) because Moshe taught them Torah. The loss of one’s rebbe is therefore to be regarded as a great personal loss. Today, the 9th day of Tammuz, is the yahrzeit of the holy Klausenberger Rebbe zy”a and the yahrzeit of Reb Dovid Lifshitz,zt”l, the Suvalker Rav, in whose shuir I was privileged to learn for two years. Both of these giants, each in different ways and at different times in my life had and continue to have a profound impact on me. How much more mindful I am of their yahrzeits and the meaning of their lives to me during this period of mourning for my mother. On the road again returning to Silver Spring from Saint Louis; actually Chesterfield, a STL suburb where my daughter and her family lives. 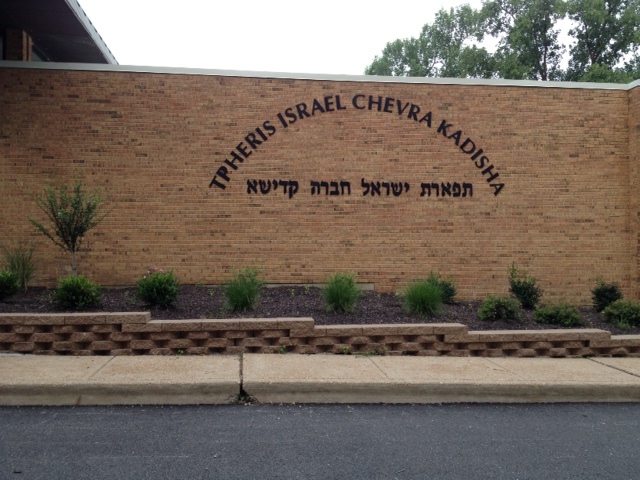 While there I davened in a shul known as TICK, a pneumonic for Tpheris Israel Chevrah Kadisha Congregation. 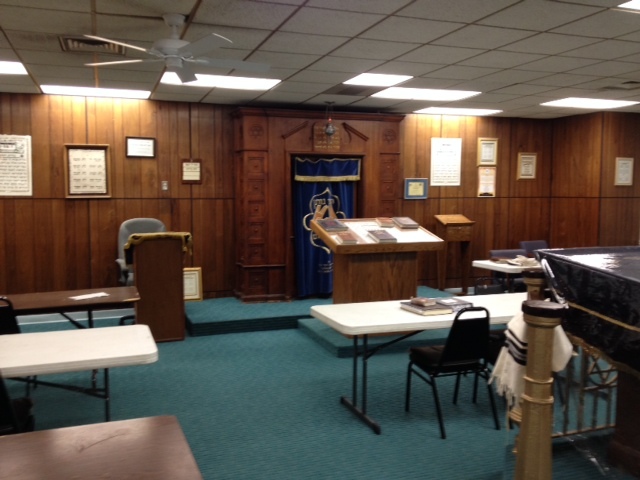 It is a small, very warm, closely knit community which in addition to the shul hosts the Missouri Torah Institute, a Chofetz Chaim Yeshiva affiliate. Because Friday was a legal holiday, Shachris at TICK was scheduled for 8 am. As I was leaving my daughter’s house, at about 7:40 am, she mentioned that I was probably leaving too early because the 8 am start time was “TICK time”. I left for shul any way since as an aveil there is always a high likelihood that I will be asked to be the chazzan in which case I need to be “ready to go” at the minyan’s start time. When I arrived at the shul, at about 7:50 am, the shul was locked. No one was in sight. TICK time, indeed! A few minutes later someone arrived and opened the shul. I went into the beis medrash and began to put on my talis and teffilin. Men started to trickle in. I was asked to be the chazzan and when I started berachos, after the official 8 am start time, we were short a minyan. When we reached the first kaddish ten men had arrived. This same scenario repeated itself throughout Shabbos and Sunday morning. Every minyan began on “TICK time”. “TICK time” made me focus on a more serious point. The Talmud relates that Chassidim Harishonim, scholars of the earlier generations, prior to commencing their prayers would prepare mentally and emotionally for an hour and only then commence their prayers. The lesson is an obvious one: prayer before the Almighty requires focus and preparation. One should not rush into a conversation with the Creator as if it were a casual conversation with a friend. Davening requires focus, thought and concentration. Lest anyone think that this is an abandoned custom of old, I recall Rabbi Julius Hyatt ob”m who would regularly daven at the 7:30 am minyan in my shul, Young Israel Shomrei Emunah in Silver Spring, Maryland. He would arrive, however, an hour or so earlier to prepare to daven. Truth be told it is only over the last few weeks, since I have become an aveil, that I have made a conscious effort to arrange my early morning schedule so that that I arrive at shul sufficiently in advance of the minyan’s start time. This has enabled me to don my talis and teffilin thoughtfully before the start of the minyan and to think about what I am about to do. I am only talking about ten or fifteen minutes – not the hour of the Chassidim Harishonim or Rabbi Hyatt z”l. But for me it is about not just coming to minyan, something I have regularly done for a very long time, but rather, trying to make the davening experience more meaningful. Another “benefit” of my aveilus. Another lesson to be learned and sustained post aveilus. I was motivated to start this blog in part by the sad but inspiring experience leading up to my mother’s passing and thereafter during shiva. I have added a page entitled Sad But Inspiring to relate my experiences and impressions during this period. From time to time I hope, with G-d’s help to supplement it. Well our plane finally took off last night, over two hours late, which meant that there was no way I was going to make the maariv minyan in the STL Agudah in U City. Upon landing my son-in-law told me that he had arranged for a minyan to come to his house so that I could learn a mishna and say a kaddish derabbanan. They had already davened maariv but were more than willing to come out at 11pm to make a minyan for me. We arrived at the house and immediately the knocks on the front door started. More than a minyan of men came out so that I could say kaadish. Once again I am astounded by the kindness of others. This incident does raise a question for me. Is it proper for me to impose on others like this? Yes, they are doing a chesed shel emes for the departed and a chesed for me, but do I have the right to ask others to leave their homes at 11pm just so I can say kaadish? A question I will need to get some guidance on. In Chesterfield, where my daughter lives, the shul davens nussach Sefard. I daven nussach Ashkenaz. But as is becoming quite clear to me, a side benefit of being an aveil who travels is that by necessity I am becoming proficient in various nuschaos. In Boston it was nussach Ari. In Chesterfield it is nussach Sefard. In any event, it will soon be Shabbos and with Shabbos comes an extra benefit. I do not have to worry about minyanim. A good Shabbos to all. I am finding once again that saying kaddish is much more than just “saying kaddish”. What do I mean? Consider the following. A central focus of every day of the year of aveilus is minyan. Every day’s schedule is built around minyan. Everything else in life – all those things that used to “control” my schedule – are now secondary; the primary “appointments” are Shachris, Mincha and Maariv. I guess that davening with a minyan is supposed to be the central activities of every Jew’s day – aveil or not – but at least in my case while minyan has always been of great importance it often has taken a second chair to trials, court hearings, business appointments, travel etc. My personal challenge will be keeping the primacy of always davening with a minyan three times a day when my aveilus is over. When you are an aveil you not only say kaddish but during the week (excluding Shabbos and Yom Tov) you also almost always serve as the chazzan. In fact, it is more important for the neshama of the departed that the aveil serve as the chazzan than that he say kaddish. I recall when I was last an aveil, twenty nine years ago, the constant requirement of being the chazen was a bit of a burden. There were just some days that I wanted to be a mere congregant. This time around, however, my experience and reaction to having to lead the davening three times a day every day has so far been quite different. I now look forward to the task because it enhances my own personal davening. I focus and concentrate more on what I am saying and what it means than when I am sitting comfortably in my seat while someone else “does the work”. Enhanced kavanah another “benefit” of having to say kaddish. And then there is what seems to be the never ending kindness of others. Take today for example. We are traveling to St Louis for Shabbos to be with our kids. I absolutely needed a mid day Mincha minyan at the Agudah office in order to make a flight that would get me to STL in time for a Maariv minyan. Word went out to the participants in the DC Agudah minyan that I really needed the afternoon minyan and notwithstanding the July Fourth holiday weekend and the shortened work day in many offices today we had a more than a minyan. Why? Because people wanted to make sure that I was covered. Me keamcha yisrael! As I write this blog entry my wife and I are sitting in Reagan airport waiting for our flight – which is now delayed two hours due to thunderstorms. So much for making the 930pm minyan at the STL Agudah. I am hopeful, however, that my arrival will not be too late and that my son-in-law Jose’s (yes! Jose – Mexican born and frum!) efforts to gather a minyan for me will be successful. I know that it is inevitable that there will be circumstances that will cause me to miss a kaddish and learn a mishna instead. I’m just not ready for that to happen so soon into my aveilus. At the end of the day, however, I recognize that every kaddish is in His hands, just like everything else in my life. All I can do is my hishtadlus – try my absolute hardest never to miss. It is sad to have to say kaddish for a parent – even one like my mother a”h who who lived a long life. It is tragic to, G-d forbid, have to say kaddish for a child. It is beyond all comprehension to have to say kaddish for an innocent child murdered simply because he was a Jew. My heart cries out in pain over the news of the tragic loss of the kedoshim Eyal Yifrach, Gilad Shaar, and Naftali Frenkel, may G-d avenge their blood. I mourn with all of Israel, the murder of these three, innocent young boys. As I continue to say kaddish for my mother I will have these three holy martyrs in my heart, as well. More or less my default schedule for when I am in my office is to daven Mincha at the Washington DC office of the Agudah and Maariv in the Yeshiva at 10 pm after the daf. The two venues are a study in contrasts. The Agudah minyan is a reasonable but “quickie” “heicha kedusha” minyan starting promptly at 1:45 pm and finishing by 1:55; 2 pm the latest. The Yeshiva’s Maariv minyan, on the other hand, starts at 10 pm (Jewish Standard time,) is a slow minyan and can take up to twenty minutes to finish. I’ve known about the Agudah minyan for several years and I am embarrassed to say that I never even tried to attend until my aveilus began a few weeks ago. Interestingly I am the only aveil in the minyan. Everyone else just comes to daven with a minyan! In truth, I see now that as a general rule there is no excuse for all the years of my not attending since it really is fairly easy to schedule around it. Shame on me! All these years I would tell myself that I could not possibly break away mid day to go daven with a minyan. Now that I have to I see that I easily could have. All it takes is a genuine commitment and a little more care in scheduling. As I said shame on me! Last night I made my belated (two days late) siyum for the Shloshim. I decided to make it on Meseches Rosh Hashanah which the daf finished some ten days ago. Though many people volunteered to learn all mishnayos by the end of Shloshim I had no practical way to be sure that all commitments were able to be kept. Nonetheless I am aware of many who not only learned a meseches of mishnayos but made sure to finish their undertaking by the Shloshim. The siyum started at 10:20 pm and was attended by at least 20 people. Once again I was taken by the outpouring of support. More “kaddish stress” this afternoon. I have to go to Columbus in a couple of weeks for a four hour meeting. Given the time of the meetings and the flight schedule it will be a challenge to make this a one day or even a two day trip. I hope I can make this all come together in no more than two days. My kaddish journey of 11 months has begun with a trip to Boston and SGH for a meeting on the AMP hydro projects. As expected what would typically have been a one day, in and out, first flight- last flight trip now has to be a two day trip so that I can make mincha maariv, shachris and mincha maariv again. When the meeting was scheduled I started investigating my flight and minyan options and quickly determined that two days were required to make it all happen. So I called Charlie Russo at SGH to get a lay of the land in terms of Boston geography so that I could figure out where I to daven , where to stay, how to get from here to there and set my meeting times, as well. Much to my surprise Charlie invited me to stay in his house and have his assistant Robin work with me to find a shul. Robin called and started the process. She quickly determined there was a Chabad a few minutes from Charlie’s house. She called Rabbi Yossie Lipsker who said that he would arrange a mincha maariv minyan for me for Monday evening and indicated that there is a regular shachris minyan at 630am. Charlie said he would pick me up at the airport, take me to his house, take me to shul and then take me to the meeting. Wow! To my surprise early Friday morning I got a call on my cell from Rabbi Lipsker who introduced himself as the Chabad Rabbi of the Chabad of the North Shore. He was called by Robin and was calling to let me know that he was arranging a mincha maariv minyan for me at 8pm on Monday evening and that the regular shachris minyan would be at 630am Tuesday morning. He asked me if I had arranged food. I told him that I had not yet even thought about food. “No worry” he said, he will have food for me which I can either eat with him or take with me! Amazing! I arrived at 630pm Monday evening at Logan. Charlie was waiting for me and off we went to his house. His parents were visiting from Florida . We sat and chatted while they, Charlie and Mary Ellen eat dinner. At 745pm Charlie drove me to Chabad, a 15 minute drive. He went to window shop while I went to daven. As we were waiting for the minyan to gather in walked a gentleman who I recognized as Dovid’s uncle! He recognized me as well. What a small world. He told me that Rabbi Lipsker is a distant relative of my mechutan Paul Volosov. I then met Rabbi Lipsker, a very warm, somewhat “hip” Chabad shaliach (he rides a motorcycle). He has been in Boston for over 40 years. He grew up in North Phili with Rabbi Levi Shemtov. After Maariv he gave me dinner to take with me. On Tuesday morning Charlie took me at 6am to shul and I davened at the 630am minyan. About 20 men were there including another Lubavitcher shaliach. After davening Rabbi Lipsker had hot coffee and breakfast waiting for me in the shul lobby. To show my appreciation I gave him a copy of the Klausenberger Rebbe and a check for the shul. He was most appreciative though made a point of saying neither was necessary. Charlie picked me up and we were off to our meeting at SGH. What an incredible way to start my post sholshim kaddish experience.